Why is it vital for me to involve myself in my work fully and passionately today? How can my attitude affect the way I respond to stressful situations? When do I feel most passionate: When I’m working with a customer, solving a problem for a family member, working on a project for myself, or some other time? How can I effectively align my interests and passion with what I have to do today? What kind of person am I called upon to be today to best express my passion for life and work? 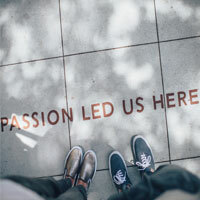 Find your passion with AurStaff. We specialize in positions within the industrial, skilled trades, technical, engineering, and architecture fields. Call us at 800-574-9813 and let us help you find your next great career.